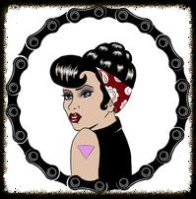 Out Riders Women's Motorcycle Club is for members of the LGBTQIA community who love to ride motorcycles in and around Maryland, Virginia and Washington D.C. We are dedicated to good times and fun rides! In order to join, you must have a motorcycle (minimum 250cc) or be a spouse/SO of an active member. We consist of a 5 member executive board and currently have over 40 members. Since establishment in February 2014, our numbers have continued to grow. We have bylaws that we expect all members to follow but there is nothing too hard about them. Mostly, come to events, have a working 250cc or larger motorcycle and valid license, and be nice and have fun. We organize rides to Skyline drive, Gettysburg, over the Bay bridge and other locations in and around the VA/MD/DC area. We encourage all members to suggest new rides. Feel free to contact us for more information.